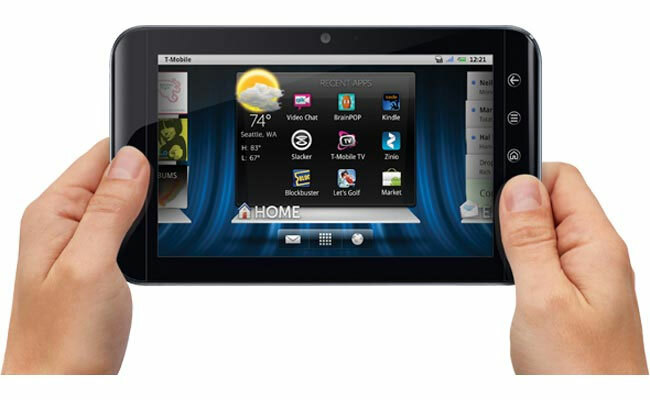 Dell recently launched the Dell Streak 7 Android tablet which shipped with Android 2.2 Froyo, and they will shortly be releasing a 10.1 inch version the Dell Streak 10. Good news if you have been thinking about getting your hands on the Dell Streak 10, as it will come with Android 3.0 Honeycomb, rather than the Android 2.2 Froyo that comes with the Dell Streak 7. There are no details on when the Dell Streak 10 will be available, as soon as we get some more information we will let you guys know. The image above is of the Dell Streak 7. Have a look and our article on Android vs iPhone to see which smartphone and mobile platform is best for you.